From a young age, Emma Lee Stewart had a great interest in music which was encouraged by her father. She frequently performed with him at family and social functions in and around the Pictou area. Emma Lee spent a short time in Ontario where developed both academically and musically then eventually returned to her roots and pursue her musical ideals. She has been fortunate to share the stage with artists such as Terry Crawford, Platinum Blonde and Doug And The Slugs as well as became a part of maritime music history performing with Black Cat Bone, Granfalloon, Citizen, Holy Potion and The Hall Britton Band. 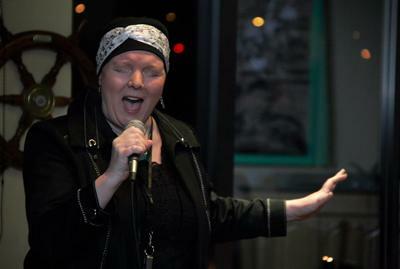 An international recording artist and two-time Music Nova Scotia award nominee, Emma Lee recorded an amazing rendition of “Send Someone For Me” for The Reason For Hope compilation CD.